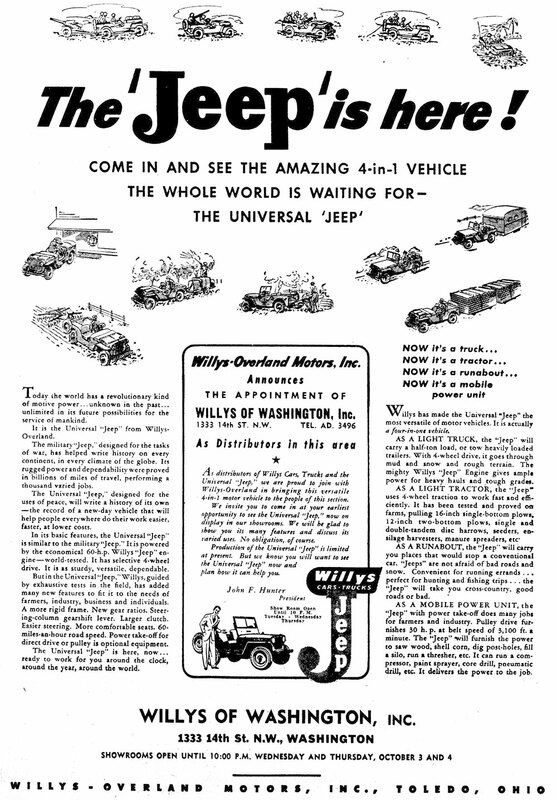 UPDATE: I didn’t understand the significance of this ad until purchasing Fred Coldwell’s “Selling the All-American Wonder” (great collection of Willys-Overland WWII ads). 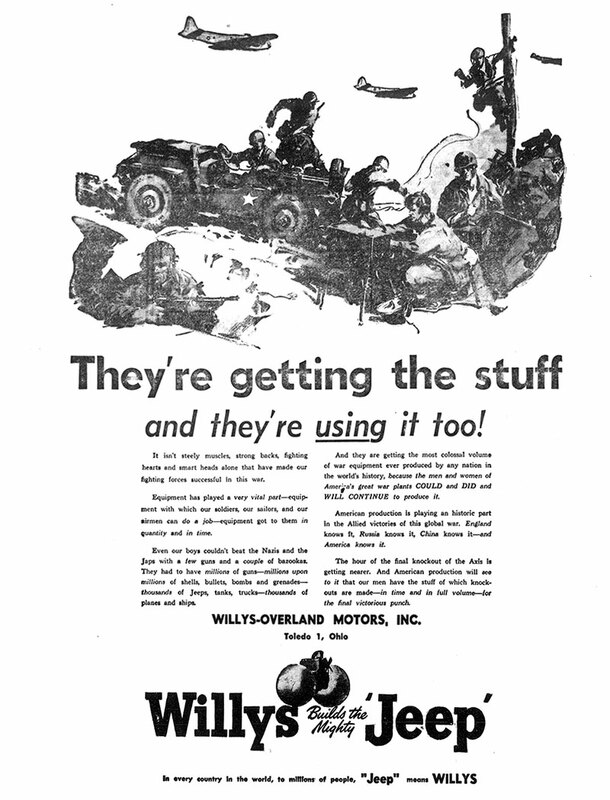 It’s the only WWII Willys-Overland ad that I’ve found which doesn’t appear in his book. 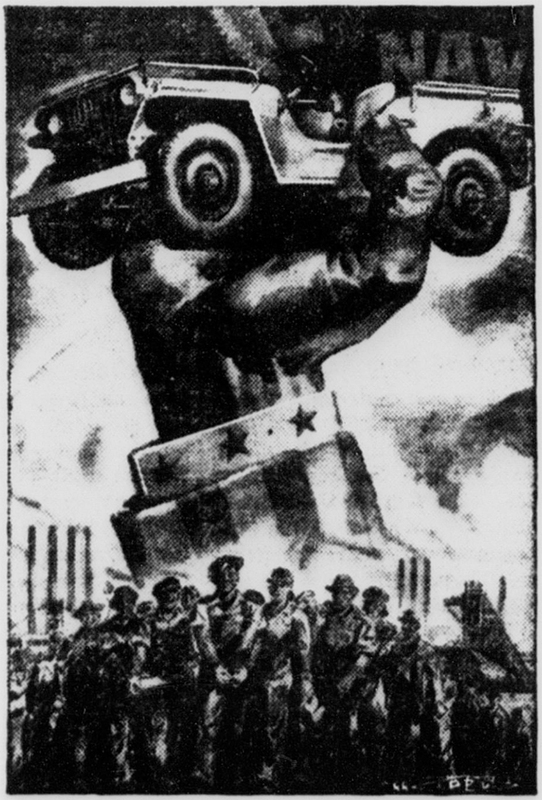 Titled “They’re getting the stuff and they’re using it, too!”, the ad seems to have been only published in the newspaper. Originally published January 12, 2019. 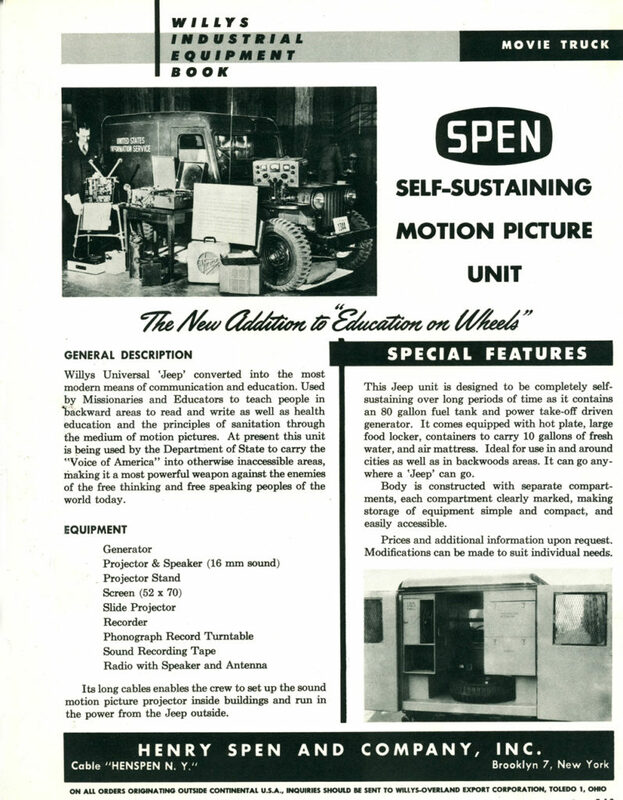 This Willys Overland Ad appeared in the September 25, 1944 issue of The CIO News. This particular Wilmington, North Carolina, dealer was selling trucks, cars, jeeps, tractors, and much more. 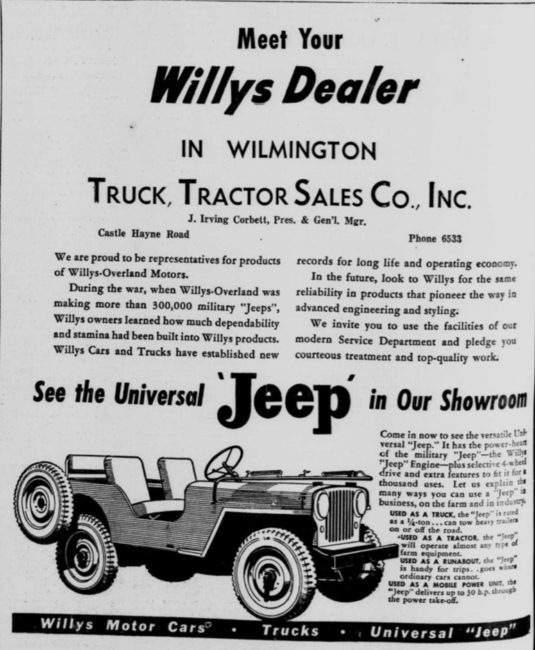 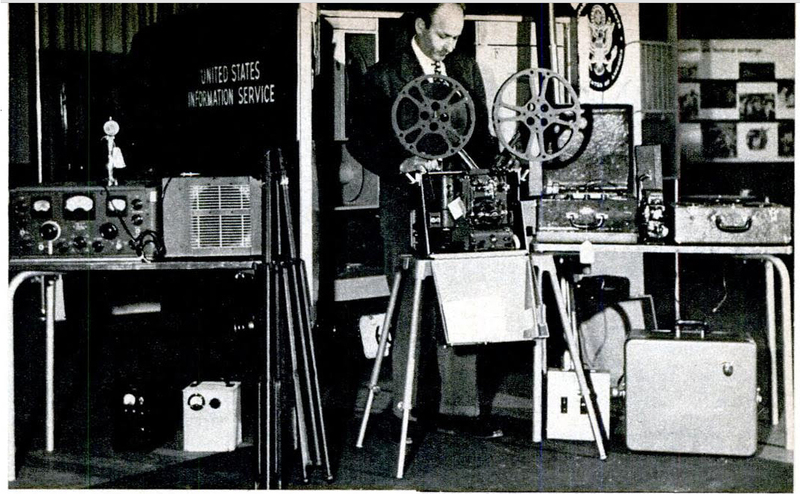 The ad appeared in the February 7, 1946, issue of the Wilmington Morning Star. 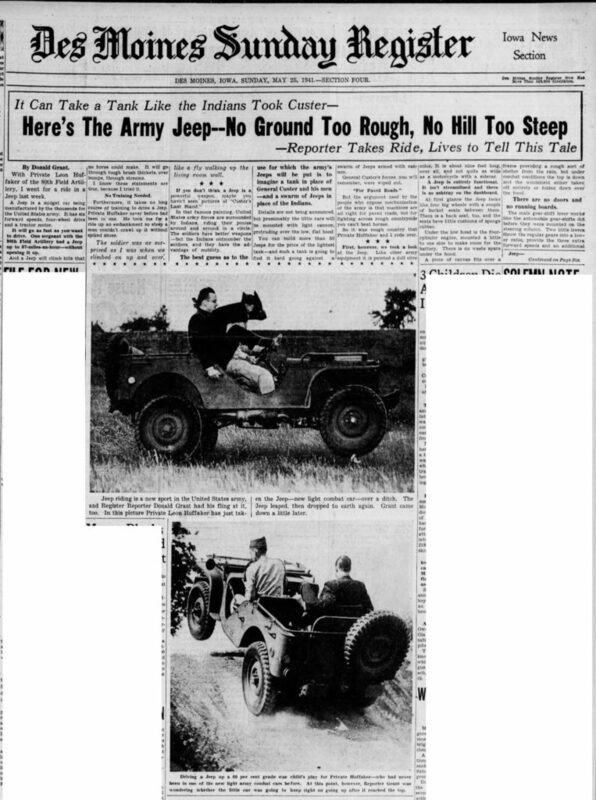 This November 14, 1943, Evening Star article highlights both the mystery armor plated jeeps and about how pretending to be crazy might just save your life. The April 16, 1943, issue of the Evening Star announced the D.C.’s Woodrow Wilson High School ‘smashed’ the city’s jeep record by getting selling enough bonds and stamps to purchase 22 jeeps. 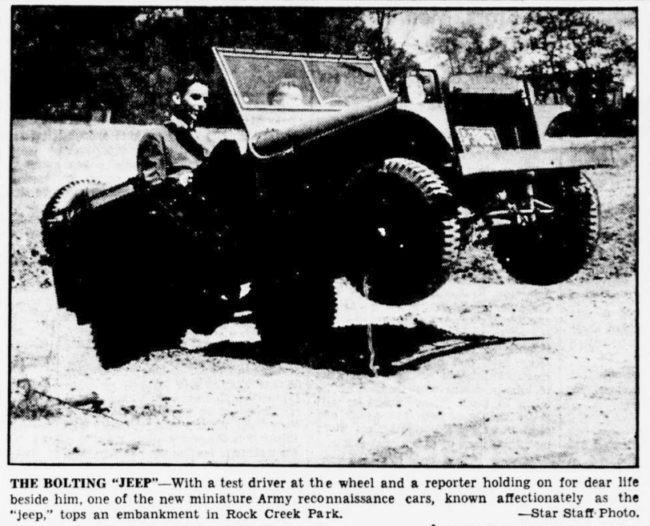 On the same page of the newspaper was a nice story (nothing about jeeps) about a man who was blinded at his machine shop job, but managed to find work again due to his heightened sense of touch. 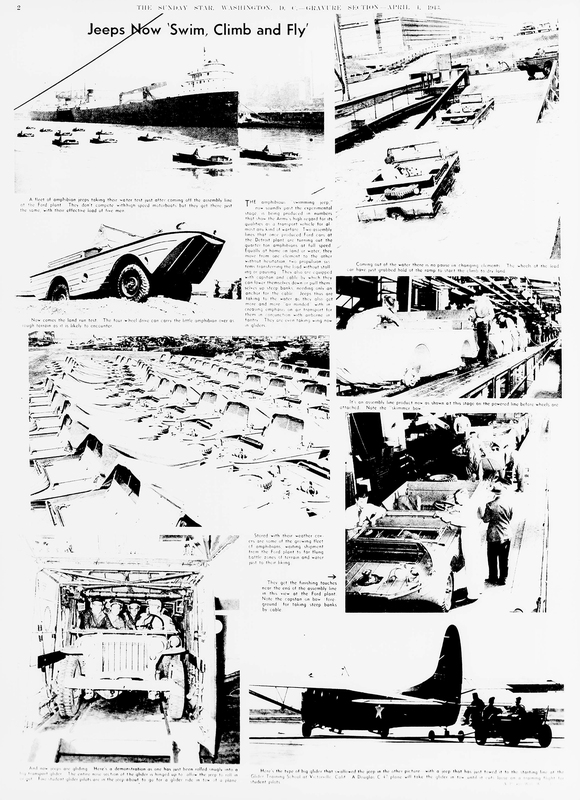 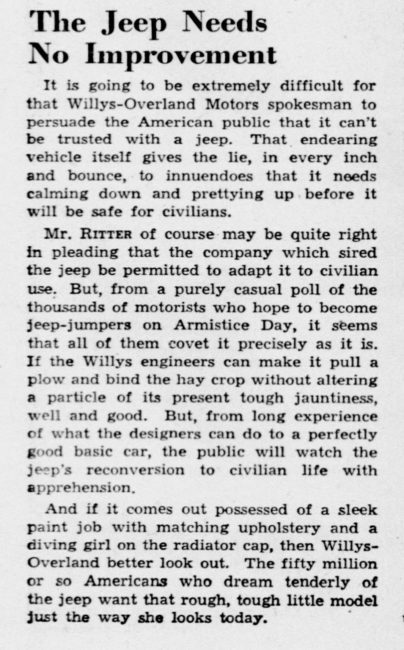 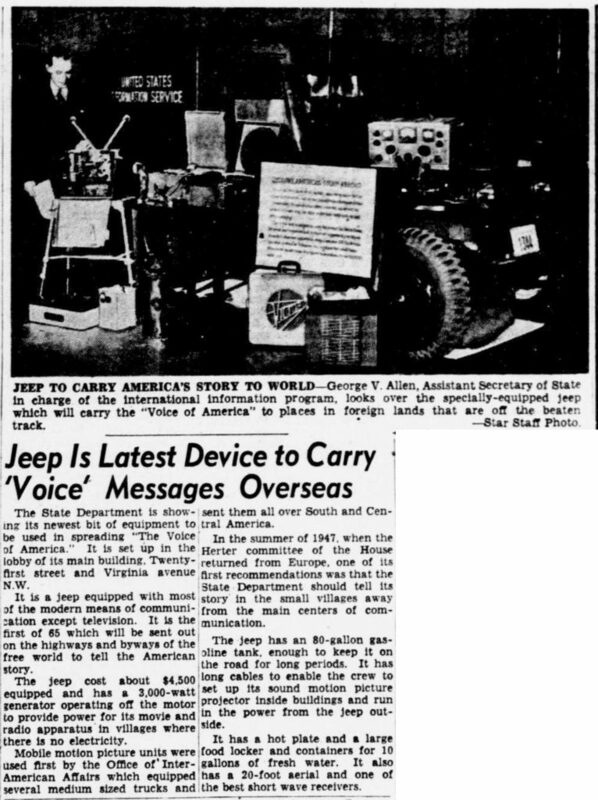 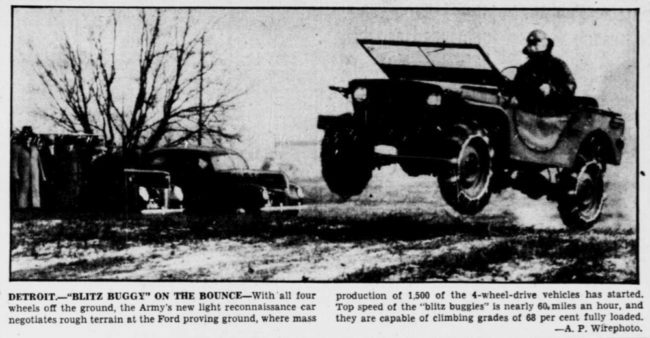 This April 4, 1943, article in the Sunday Star shares more about the things the military was doing with jeeps (not the best scan, but it’s all I got). This March 02, 1941, photo from the Evening Star appears to show the original Pygmy. 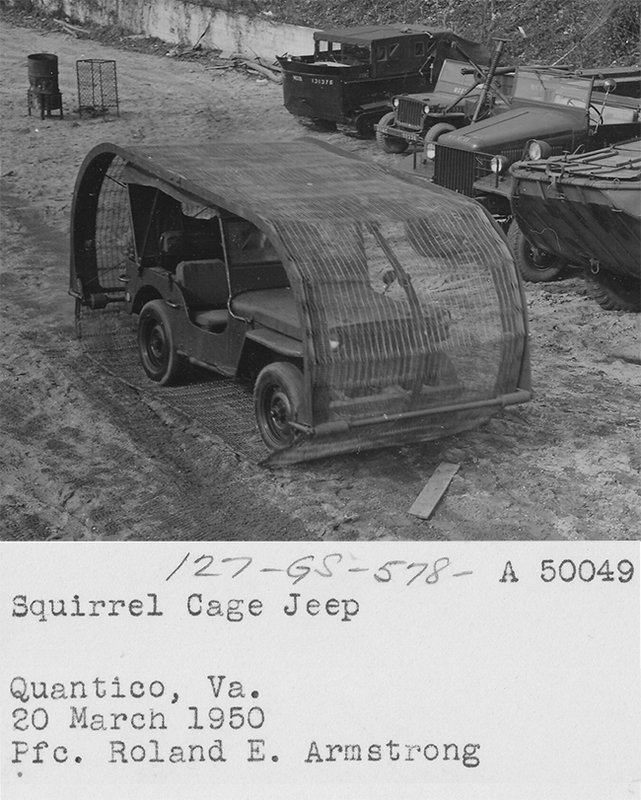 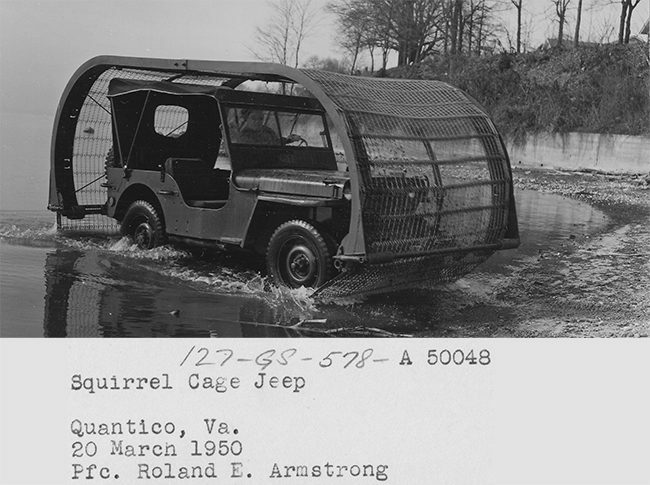 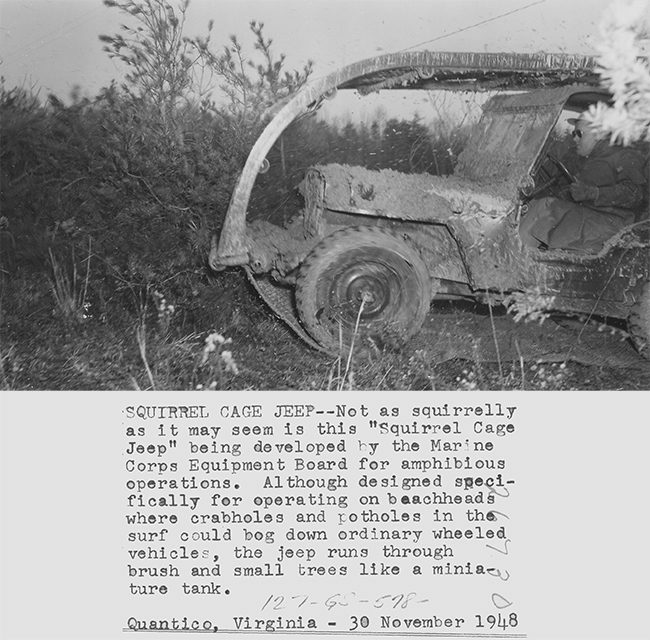 February 11, 2019 • CATEGORIES: Features, Old Images, Old News Articles • TAGS: jeep-name. 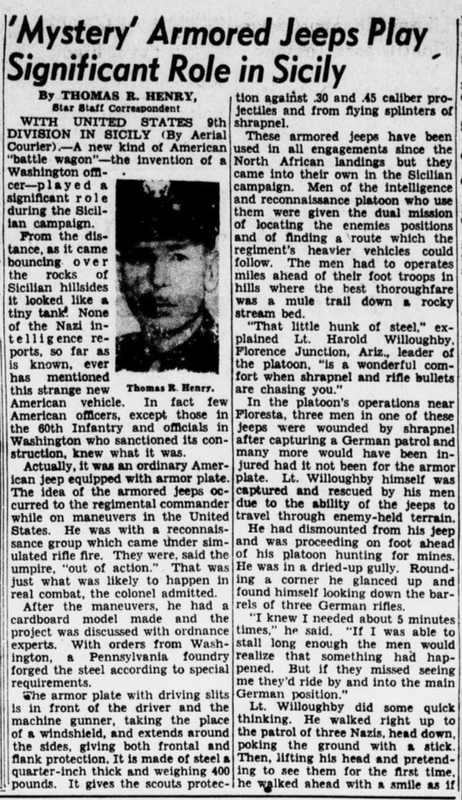 Mario shared this article on Facebook from the May 25, 1941, issue of the Des Moines Register. 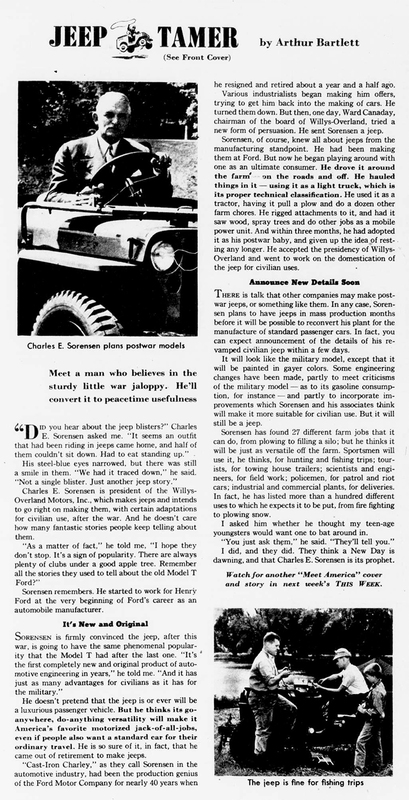 A report describes his experience riding in one and imagines how it might be used. 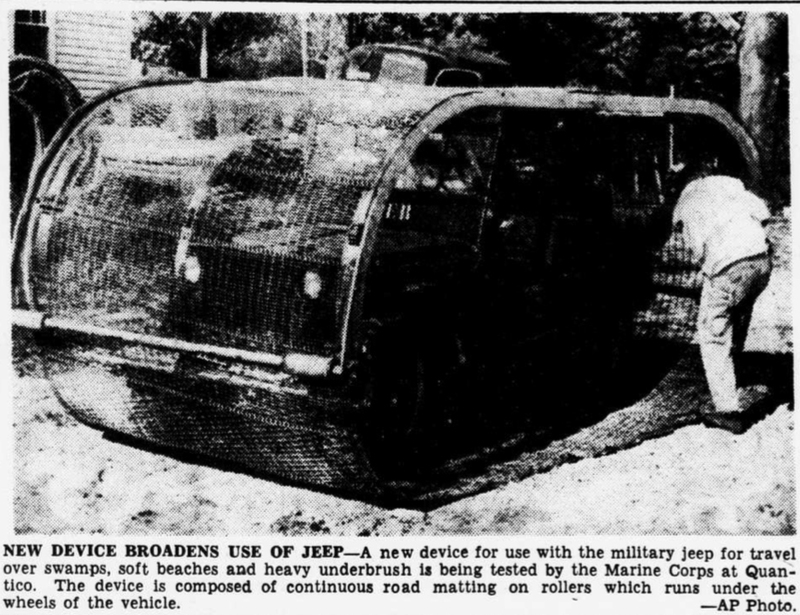 I find the claim that it would go “87-miles-an-hour–without opening it up” a stretch, but that was likely just a propaganda plug. 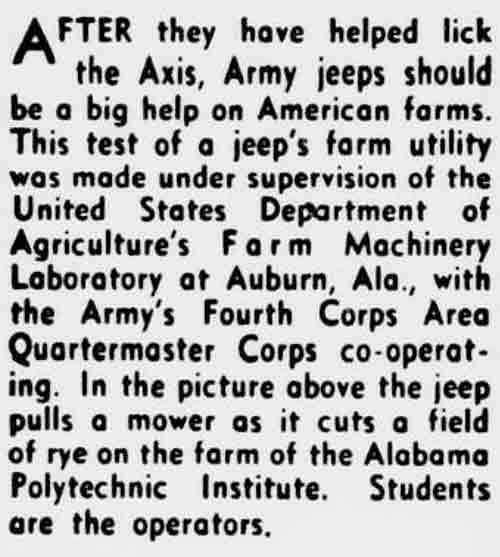 The Evening Star shared the news of SEEPs on April 4, 1943. 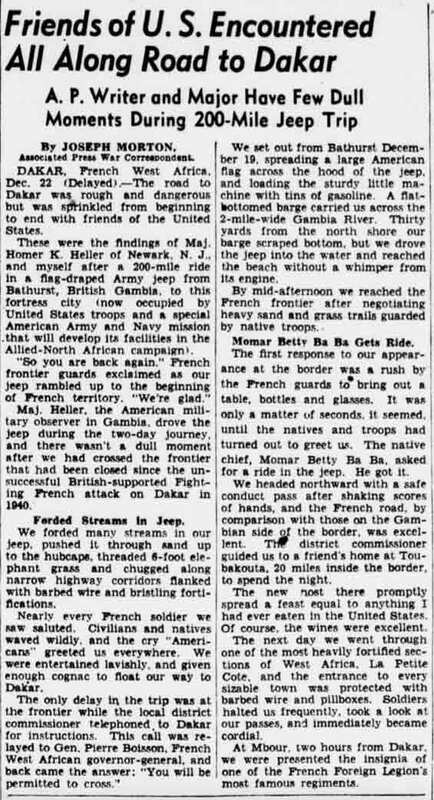 Joseph Morton’s description of his jeep trip from Bathhurst, Gambia, to Dakar, French West Africa, was published in the Evening Star, December 26, 1942. 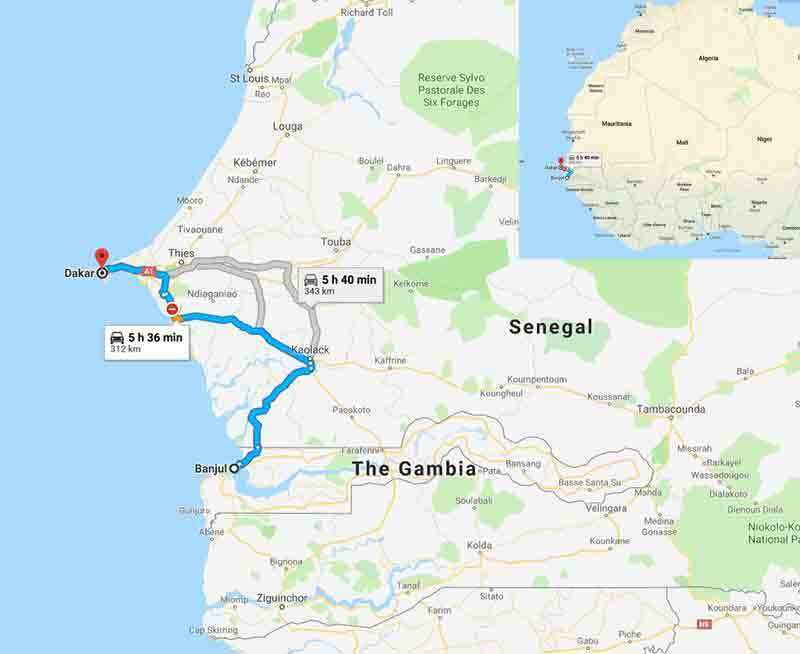 Fun fact: I got to know a Gambian ambassador to the US and was invited to Gambia to help work on a school’s computer system back in 2002, but other priorities kept me from going. 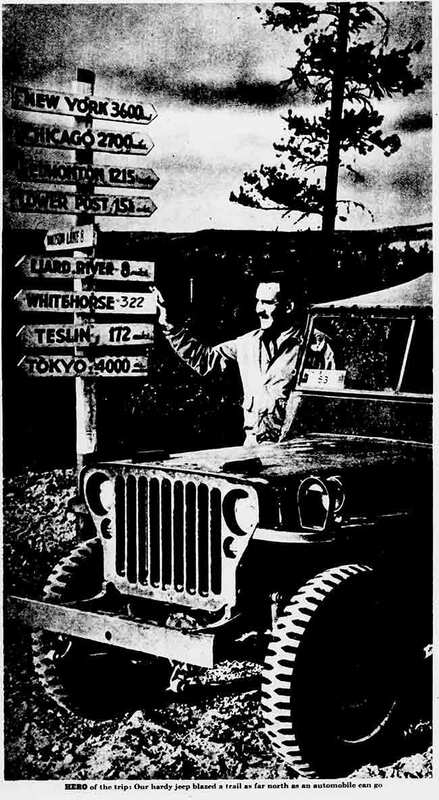 This ad for a ‘Jeep’ Caravan was published in The Wilmington Morning Star on November 04, 1947. This is all for today (well this and the two videos below). We are still out camping. 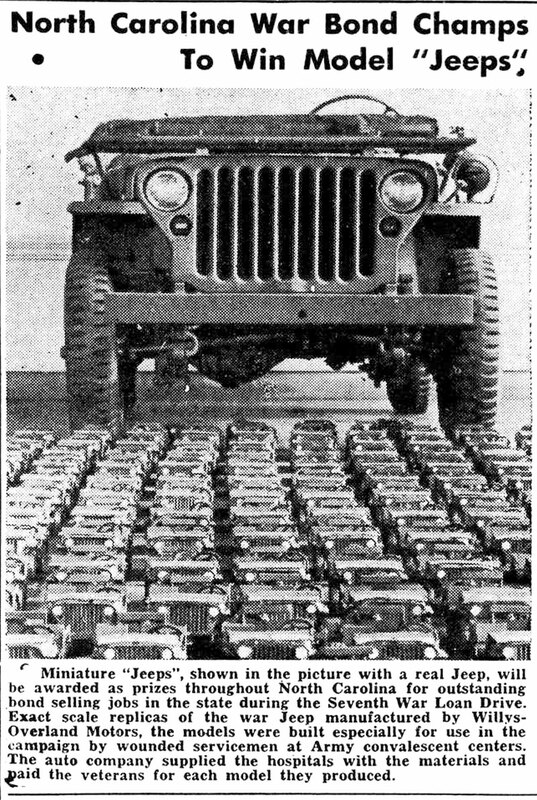 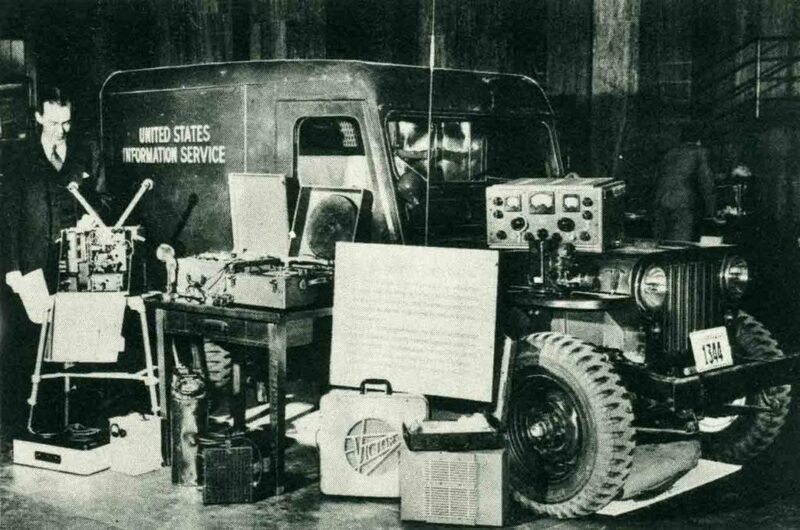 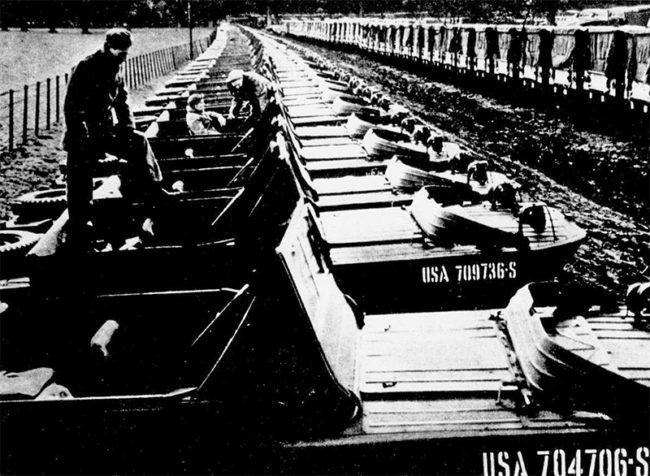 These toy jeeps were part of the Seventh War Loan drive. 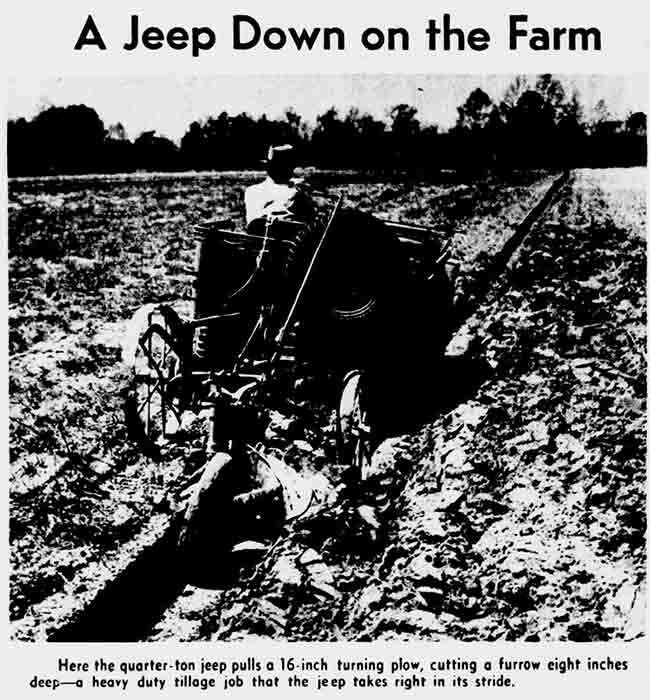 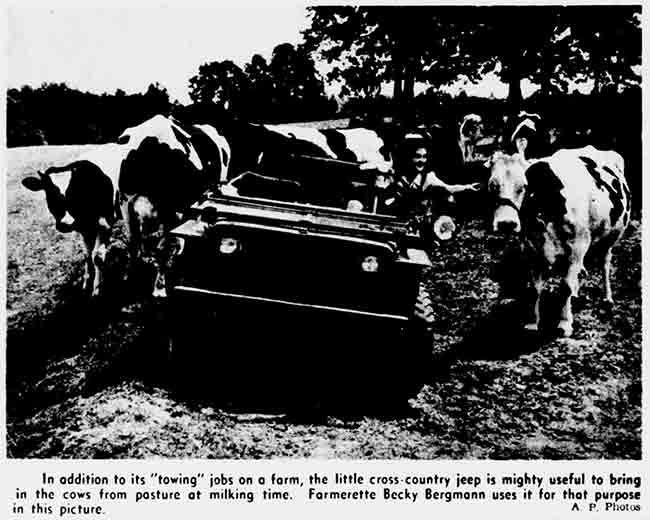 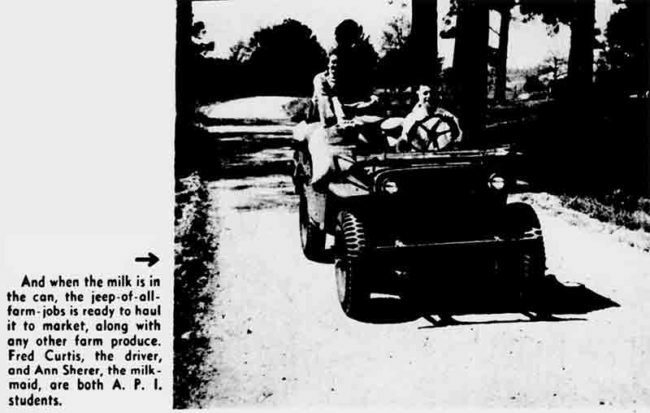 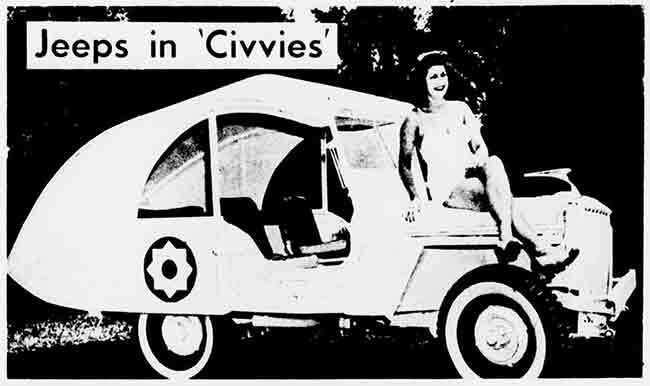 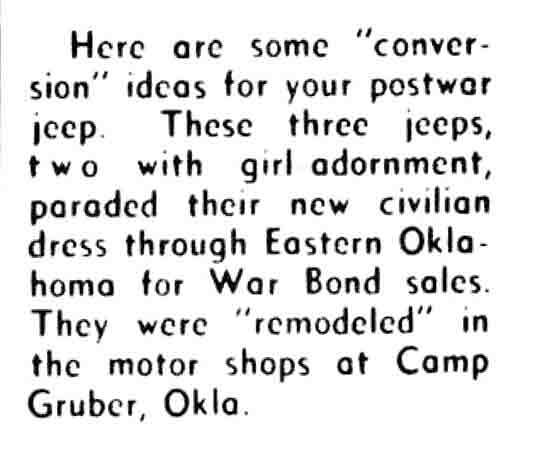 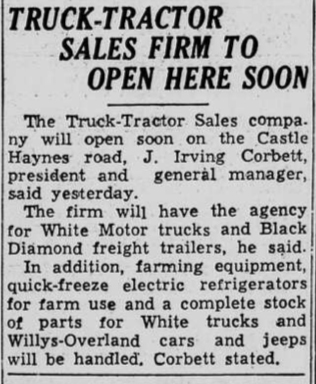 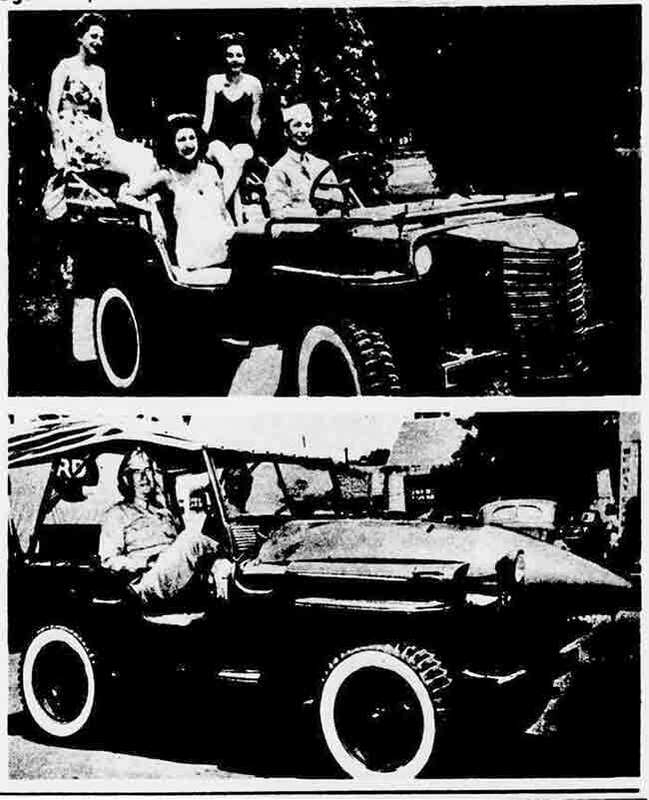 Given the date this was published (July 19, 1945), could these have been the early Al-Toy jeeps? 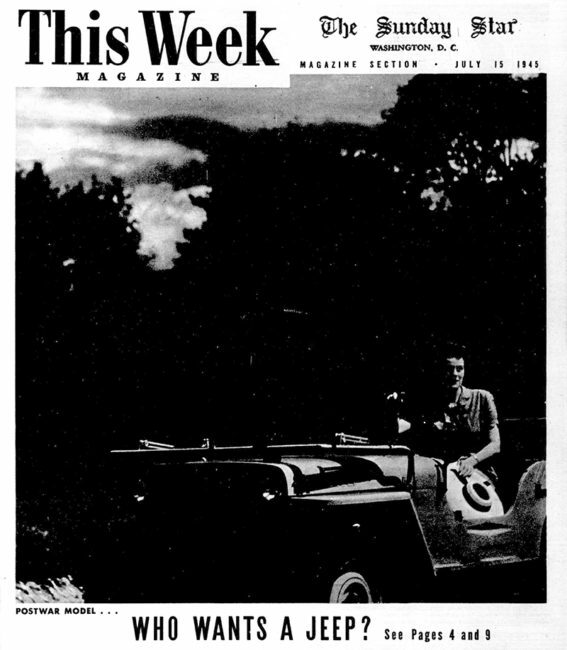 And, here’s a video highlighting the Seventh War Loan Drive (that includes the Iwo Jima sculpture unveiling). 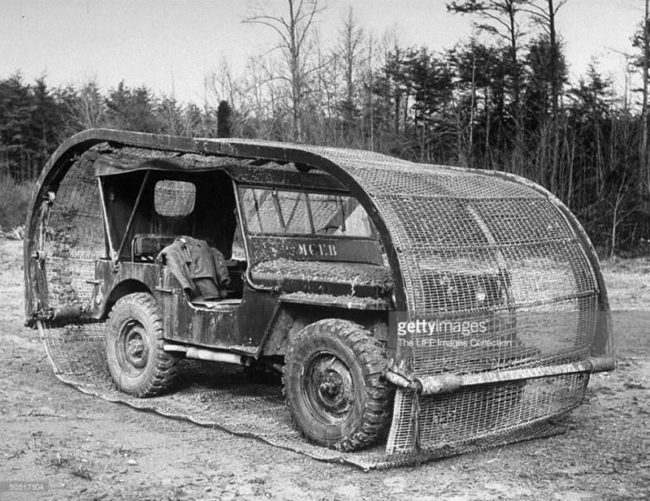 Santa brought me the flu for Christmas Eve….. Thanks Santa! 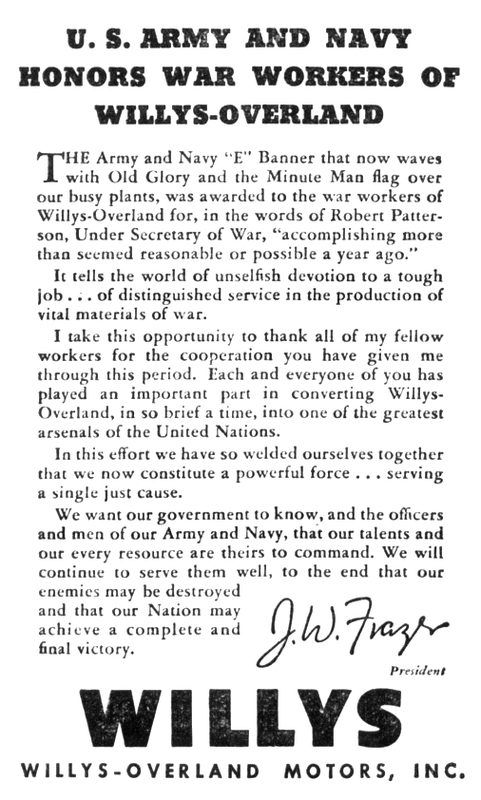 So, between that and helping my parents, I am taking another day off. 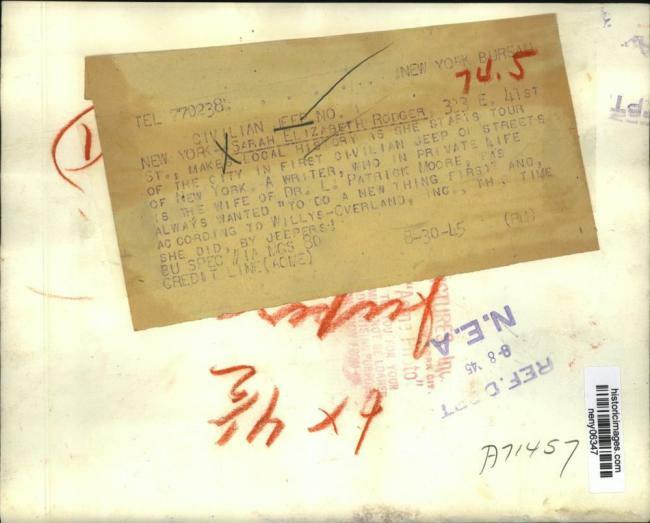 We head back to Pasco for a few days, so I’ll be able to catch up at that time. 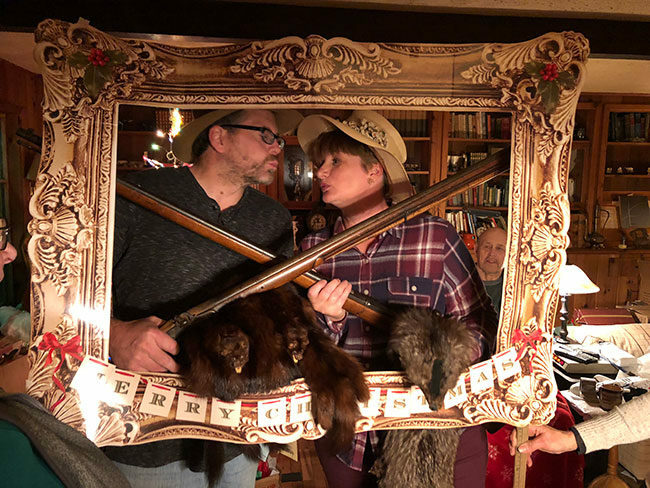 It was a different sort of Christmas this year, lol. 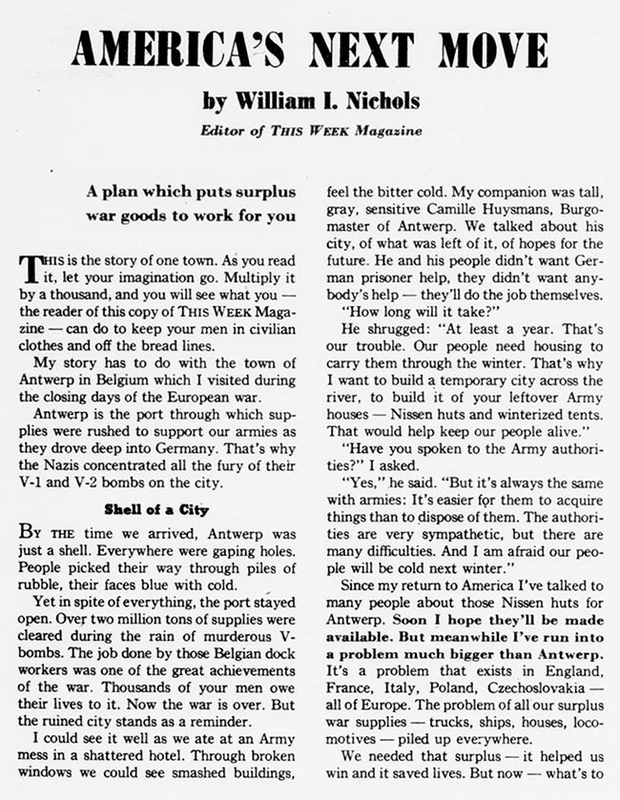 Mario shared this great article from 1943 on Facebook. Mario shared this on Facebook. July 29, 2018 • CATEGORIES: Features, Old Images, Old News Articles • TAGS: Jeep-Willys-News. 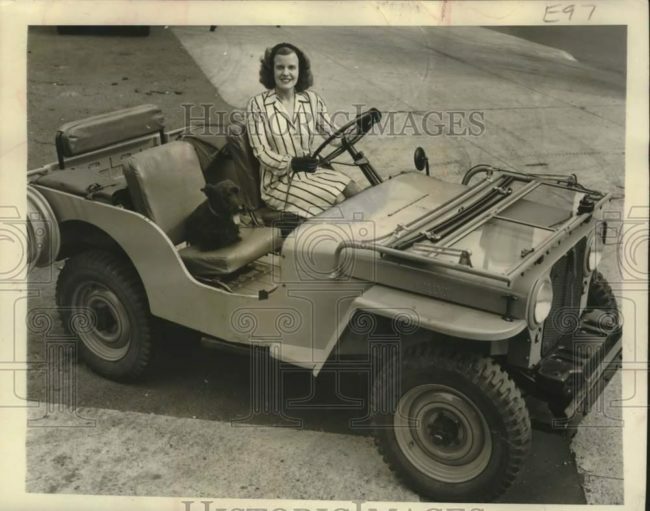 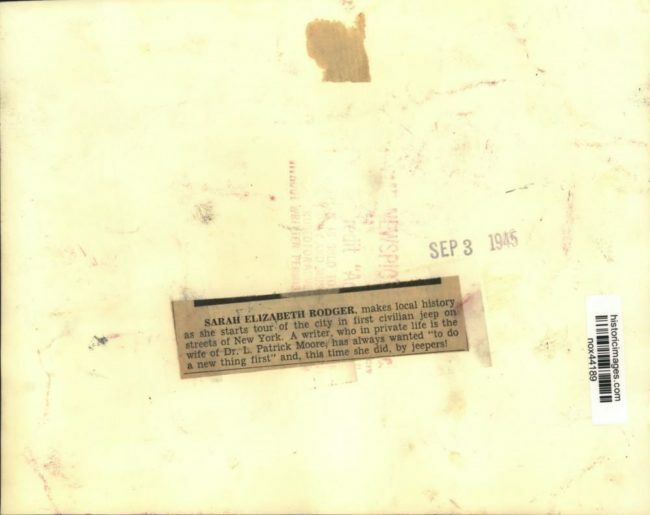 UPDATE III: Another version of this press photo is on eBay. 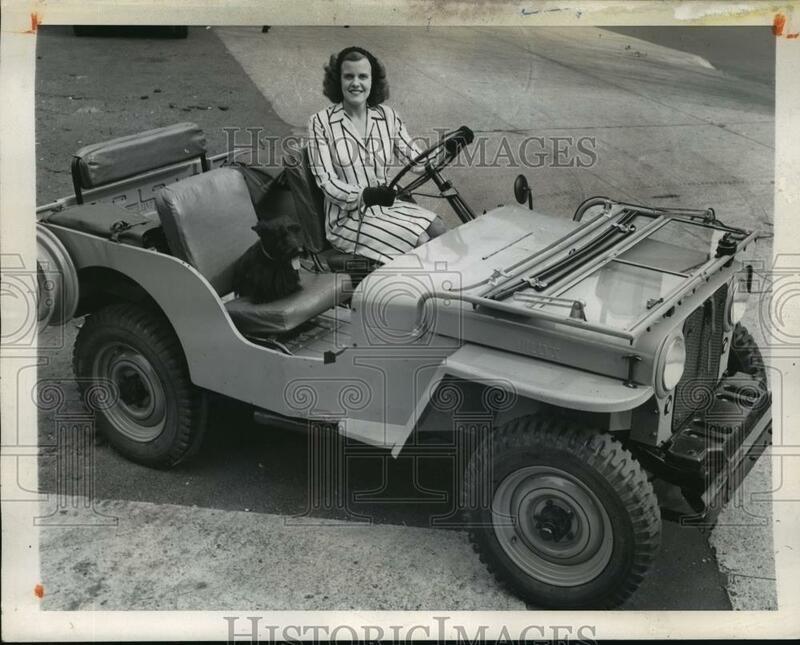 (05/20/2016) UPDATE II: Another version of this press photo is available on eBay.